Soil is not just dirt but a living system with many important functions. Degraded soils impact on food production, erosion, and more, affecting the lives of people around the world. Restoration efforts in China, Zambia and other countries seek to reverse this trend. Around 3,000 years ago, farmers settled on the fertile Loess Plateau in western China, a region about the size of France. By the 7th century, the rich soils were feeding about one quarter of the Chinese population. But intense pressure on the land eroded the soil. By the 20th century, desertification had condemned the remaining population to poverty. “It was a desperate place,” says Juergen Voegele, an agricultural economist and engineer at the World Bank who first visited the region in the mid-1980s. But that would soon change. By 2009, and the programme’s end, approximately 920,000 hectares had been restored of the 65,000,000-hectare region in western China. But elsewhere in China and around the world, soils are still suffering. Since then things have not improved. The Intergovernmental Science-Policy Platform on Biodiversity and Ecosystem Services (IPBES), which has released summaries of its soon-to-be-published 2018 comprehensive report, concludes that land degradation affects approximately 3.2 billion people around the world. Unsustainable agriculture expansion, urban expansion, and climate change are among the top causes. According to the IPBES findings, investing in avoiding degradation and restoring degraded land makes financial sense – the short-term gains from activities that lead to degradation are small in comparison to the value of what is lost in the degradation. The loss of fully functional soils is critical in many ways. Perhaps most obviously soils are useful for growing food, but they also alleviate floods and droughts; support plant, insect, and animal biodiversity; and more. And beyond these basic services, soils will be important for capturing carbon in a fast-changing climate. At the COP 21 negotiations in 2015 the 4 Per 1000 Initiative was launched. The initiative is a voluntary undertaking, which seeks to spur on actions that target a 0,4% rise of soil carbon content annually and throughout the world. The aim is to sequester carbon to meet the Paris Accord’s goal of limiting temperature rise to a 1.5–2.0C rise, in comparison with pre-industrial times. Many soil scientists are sceptical about sustaining that high increase in soil carbon content, but they agree that soils can retain much more carbon than at present, especially in the developing world. Increasing soil’s organic carbon also greatly fosters soil fertility and soil health and would lead to many benefits for farmers throughout the world. With these local and global considerations, soil experts are making connections between building resilience in healthy soils and agricultural considerations such as soil fertility, while adding new focuses, such as climate change, to their management investigations. A diversity of fungi, bacteria, and other organisms such as nematodes, mites, termites, and earthworms live in soils and keep the soils healthy. But agricultural practices, changes in land use, climate change, and other soil-degrading processes harm these organisms. Important soil functions disappear with them. Richard Bardgett, a soil ecologist at the UK’s University of Manchester, has explored soil health and fertility for decades. Soil health, Bardgett says, derives from “a strong interaction between the physical, chemical, and biological components of the soils”. Geology, topography, climate, vegetation, human activity, and time shape these factors and, in turn, determine soil fertility, biodiversity, nutrient recycling, physical structure, carbon retention, and other ecological functions that make for soil health. Building resilience in healthy soils means managing this complexity: from the chemical make-up of the soil that allows nutrients to circulate, and the presence of microbes and other organisms to break down organic matter, to how often the soil is disturbed by a plough or compressed by heavy machinery. The structure of the soils – which the soil experts sometimes refer to as soils physics – is also important, and centres around large and small clumps of soil that hold together. Six explains that in healthy soils, it is the way the clumps set in place that protects microbial populations and also traps carbon, nitrogen, and other nutrients. But what most makes soil a living system is biodiversity. Wall notes that “all the different organisms, whether it’s different groups of nematodes or the millipedes [and] centipedes, they all have different tasks in soils”. She adds that not all species are found everywhere, and particular species serve in particular ecosystems. If they disappear, it is uncertain how their functions will be fulfilled. 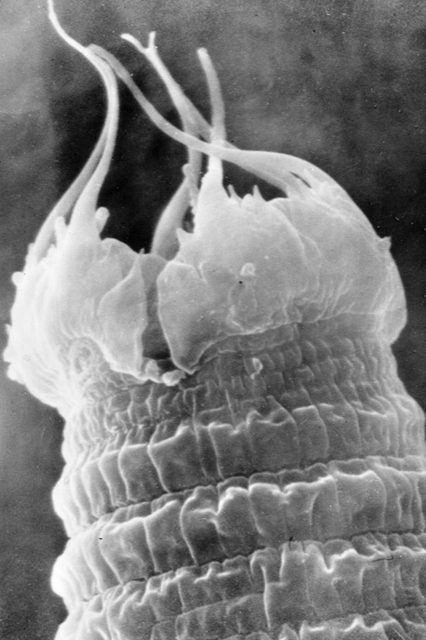 Wall’s recent work on unique nematodes in Antarctic soils that play a key role in carbon cycling underscores the specialisation of soil species in different places. Soil ecologists are also conducting experiments that explore the key links between biodiversity and resilience. Bardgett and colleagues, for example, have investigated how varied assemblages of species influence soils’ potential to cope with disturbance. For example, the researchers inflicted simulated drought impacts on wheat and grasslands in a test area in the United Kingdom. They looked at carbon and nitrogen cycling effects and found that the grasslands’ fungal-based soils were better at coping with drought impacts. But once the drought stress ended, the bacteria-based soils with wheat regained their function quicker. Soil scientists point to ancient Mesopotamia as a tragic example of soil mismanagement: 5,000 years ago, irrigation with salty water and overworked farm plots devastated food production, eventually leading to population declines in the region. More recently, the American Dust Bowl of the early 1900s became an iconic example of the devastating effects of mishandling of soils. Yet it led to a successful government response that set down precedents, policies, and science for soils management. 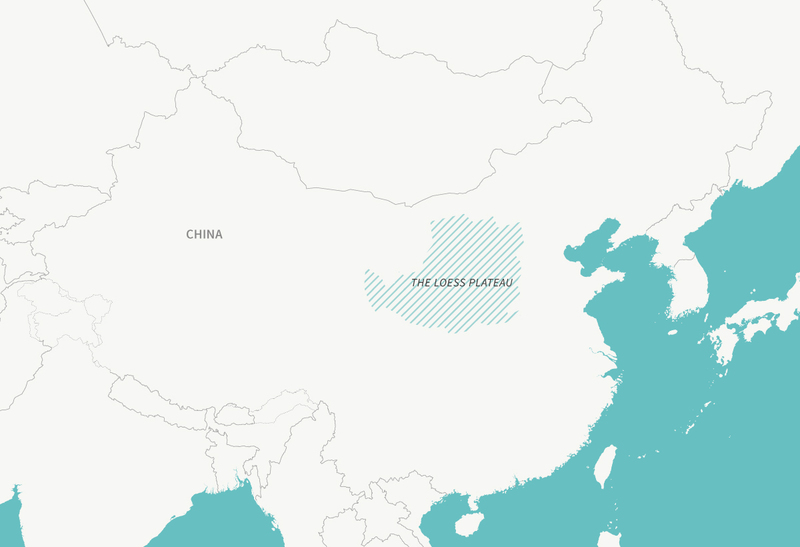 By the 20th century, the Loess Plateau faced similar challenges. The soil of the plateau was sensitive to the changes caused by human activity. In sandy and windblown areas, the soil easily erodes and loses many of its functions if it is deforested. This is precisely what happened in the Loess Plateau, where vegetation cover was reduced over centuries from grazing animals or agriculture, says Voegele. 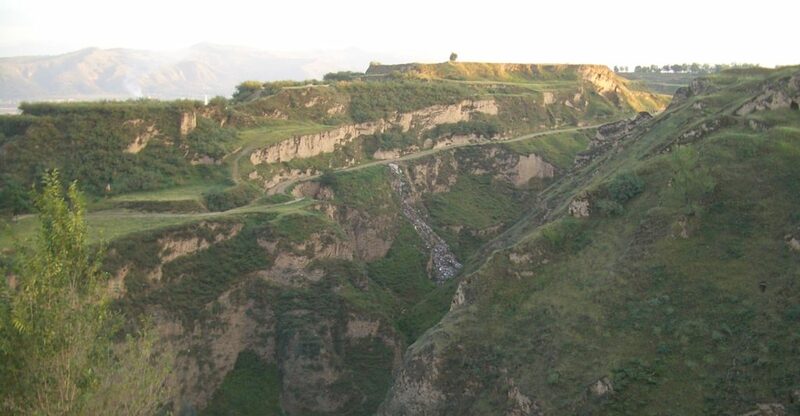 Fortunately for the people on the Loess Plateau, over millennia enough deep reservoirs of soil remained, even after centuries of erosion, and could serve as a basis for restoration. A map of China, showing the Loess Plateau in blue hash marks. Illustration: E. Wikander/Azote. When the programme started in 1994, two urgent challenges for Loess Plateau restoration were overgrazing and property rights for farmers and herders, Voegele says. Although land ownership in China was not possible in the 1990s, China had recently declared the new “household responsibility system”, which allowed for decades-long property lease rights. The Chinese World Bank team worked to extend those rights, putting together a handbook and a massive outreach programme that addressed land rights, which, according to Voegele, reached hundreds of thousands of farmers. Secure land rights gave farmers and herders more incentives to care for the land. “Previously you had a plot for your sheep, but that could be taken away at any moment. So you had no incentive to actively sustainably manage the land,” Voegele says. “When you know you have a 20- or 30-year lease, you will plant trees and you will actually manage the land and improve its fertility and its resilience.” The land rights extension was critical for the maintenance of the programme’s newly constructed, wider land terraces, which help retain water and prevent erosion and which quickly led to higher crop yields. Ultimately, the World Bank and its partners in China invested US$500 million in the Loess Plateau restoration programme, with US$300 million supplied by the World Bank, Voegele says. The World Bank estimates millions of people’s lives were improved. The efforts also reduced sediment deposits that enter the river and elevate water levels. In that way, soil restoration efforts also decreased the effects of natural flooding events in the Yellow River. However, despite the restoration, managing the sediment presents a challenge, according to Voegele. Post-restoration, high-yield crops such as wheat and corn are new additions that are also planted in the terraces of the Loess Plateau. Diverse orchards have also been planted that produce fruits, especially apples, and nuts. Notably, the Loess has become a lead exporter in China’s large apple industry and is China’s largest regional exporter of apple juice. Though much of the restoration work in the Loess Plateau has been successful, some concerns remain. For example, Kathleen Buckingham of the World Resources Institute has raised the issues that the speed and scale of the project was possible only with low crop diversity and a potential lack of consideration of local knowledge and traditions. Single species agriculture is well known to require intensive chemical input, eroding soil health and fertility. Further to the west, Bardgett and his colleagues have begun another soils investigation in China’s Qinghai-Tibetan Plateau. Supported by the UK’s Global Challenge Research Fund and with partners in China at the Northwest Institute of Plateau Biology and the Grassland Research Institute, Bardgett’s project examines the effect of land degradation in grassland systems. The project builds from Bardgett’s earlier investigation with diverse plants, where his team documented positive effects on soil health, such as soil stability and carbon retention, from mixed groups of plants’ fine roots. This spring, Bardgett will set up different combinations of plants in soils that have different levels of degradation. He says that the investigation will explore plant combinations that can improve soil fertility and examine whether other plant mixtures might accelerate degradation. Herders in the Quinghai-Tibetan plateau. Photo courtesy of Richard Bardgett. Vanlauwe has worked intensively on what are called “nonresponsive soils,” soils that do not gain in fertility by adding nitrogen- and phosphorus-based fertilisers or other “improvements”. He says reversing nonresponsiveness is difficult – it’s a particularly resilient state, even if it is not a desirable one for farmers and food production. But where topsoil has not completely eroded, soils can be made healthy and responsive to inputs again. For example, Vanlauwe and Six are working on a multi-stakeholder experiment in Kenya that applies different treatments to soils, using an approach called Integrated Soil Fertility Management (ISFM). The goal of ISFM is to both maximise crop yield and limit environmental waste, such as fertiliser run-off. The farmer applies organic matter, careful amounts of fertiliser, and other amendments, and selects best plant varieties all tailored for particular local conditions, which could vary within a single plot. So, understanding soil characteristics such as acidity or micronutrient deficiency are key to ISFM. Six and Vanlauwe and other researchers will run four field trials using ISFM methods looking particularly at the potential for increasing soil carbon and crop yield. They also want to see how this method affects soils in the face of climate change, which potentially will increase the severity of both drought and floods. Varying rainfall is a particular focus of this study. Sub-Saharan Africa also has many different ecological areas that experience different rates of rainfall and have soils that vary in acidity or salinisation or sodification, where free sodium abounds, often causing soil structure deterioration. Zambia, for example, has three agroecological zones, distinguished by rainfall and growing season. Soil microbiologist Alice Mweetwa, deputy director for research and graduate studies at the University of Zambia, works with farmers and students across the country to address low soil fertility, low organic matter content, acidic soils that are highly leached of nutrients, and soil crusting, among other challenges. In one three-year project supported by the World Bank, Mweetwa focuses on nitrogen and phosphorus needs in soils growing legumes, which poorer households rely on for protein. In particular, in Zambia’s “zone 3”, acidic soils and high rainfall combine to leach nutrients, particularly phosphorus, out of the soils. Mweetwa and her team are isolating bacteria that thrive in legume root systems, where they live alongside and work together with a type of fungus that expands plant roots’ water and nutrient uptake. 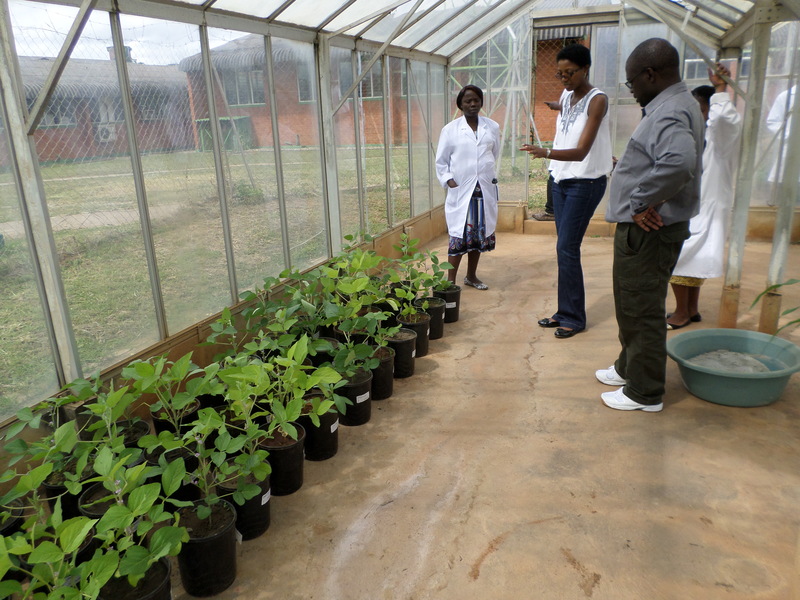 “We have already done the reintroduction to see if what we have isolated can reconnect with the beans, and those results are looking pretty good at the moment,” Mweetwa says. An additional benefit is that the fungi, through their root-like filaments, the mycelia, penetrate the earth adding organic matter that stabilises the soils. One central lesson from her work that Mweetwa stresses is that organic matter, which enhances fertility and soil organisms, is key for resilient healthy soils in sub-Saharan Africa. “If we could ‘up’ soil organic matter levels using different holistic approaches, that could really help soils,” she says. Using cover crops, reducing tillage, and direct application of the fungi that expansively grow mycelia are among the agriculture practices Mweetwa suggests for increasing soil organic matter. Mweetwa stresses that attention to people and their practices is necessary to enhance resilience in healthy soils. “One of the ways [to improve soils] is to go to a place and see what people are already doing and what system are they familiar with, and then simply enhance that particular system rather than introducing a new thing,” she says. Pre-existing underground conditions are important. Cutting-edge technologies such as microfertilisation, in which fertiliser is carefully deposited in small amounts, and precision agriculture, which uses advanced GPS, sensors, and other technologies to carefully calibrate management decisions, might significantly help to correct harmful practices such as over-fertilisation, says Bardgett. But they cannot substitute for the information contained in natural systems. “One of the key things about resilient [healthy] soil systems in terms of nutrients in natural systems is that there is tight coupling of plant–nutrient demands,” Bardgett says. Agriculture disrupts that tight coupling. Looking at natural systems – with healthy soils where plants and microorganisms live for generations without depleting soil nutrients – provides understanding about how the resources plants need can be provided more sustainably. This could reduce the instances of untimely irrigation or application of fertilisers, where water and nutrients simply run off and do not benefit the plants. Whether in China, Zambia, or elsewhere, people have begun to value soils more, but attaining good soils management has a way to go. “There is growing awareness of the importance of soils, but fundamentally people don’t walk around recognising it,” Bardgett says. He suggests education and funding is needed to really get “soils at the heart of environmental policy”. And within this policy scope, building resilience in healthy soils will be vitally important in order to safeguard the critical functions that soils provide. When soils aren’t well managed, as in Mesopotamia, the repercussions can be enormous. 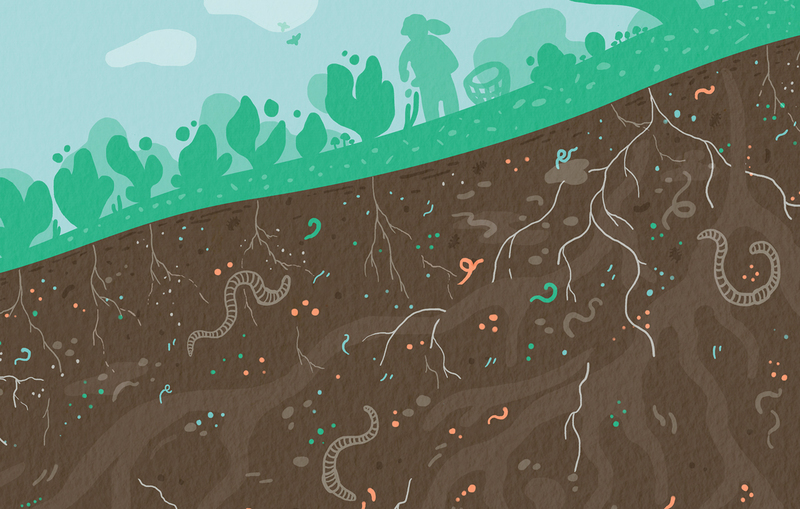 “Soils take thousands of years to form, but they can be lost very quickly,” Bardgett warns. The text of this article is in the Creative Commons, but the images are copyright as indicated in the captions.